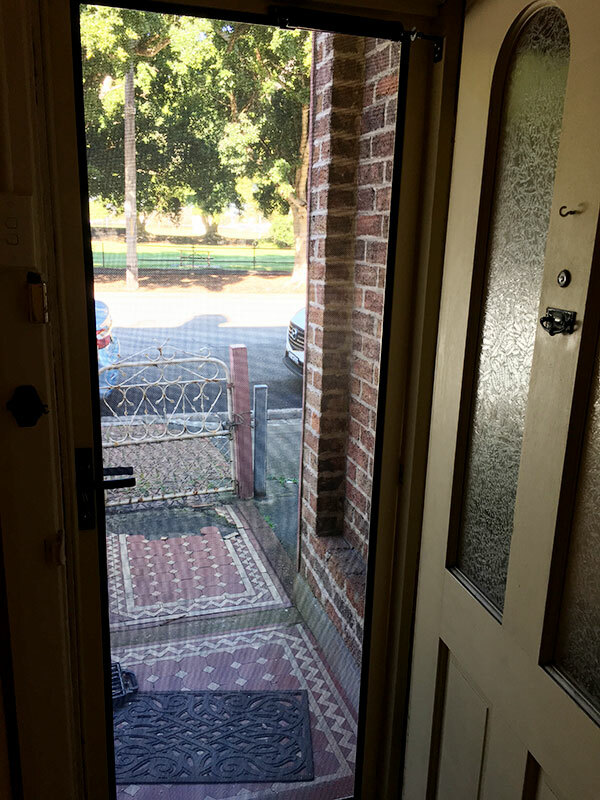 Strength, Quality, Performance and Appearance is what makes ForceField Security Screen Doors Australia’s strongest and best looking Screen Doors on the market. 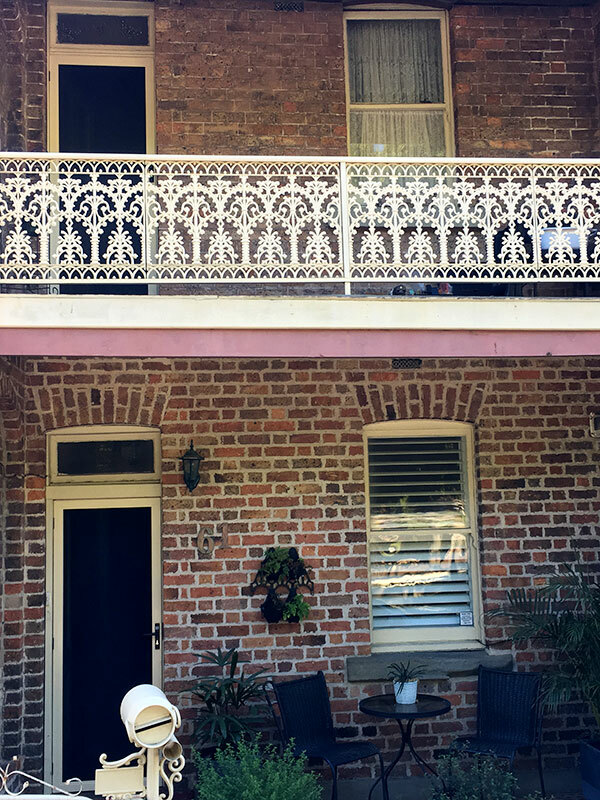 With Prowler Proof’s famous welded corners and sleek powder coated 316 marine grade stainless steel mesh and backed by Australia’s only 10 year replacement warranty. 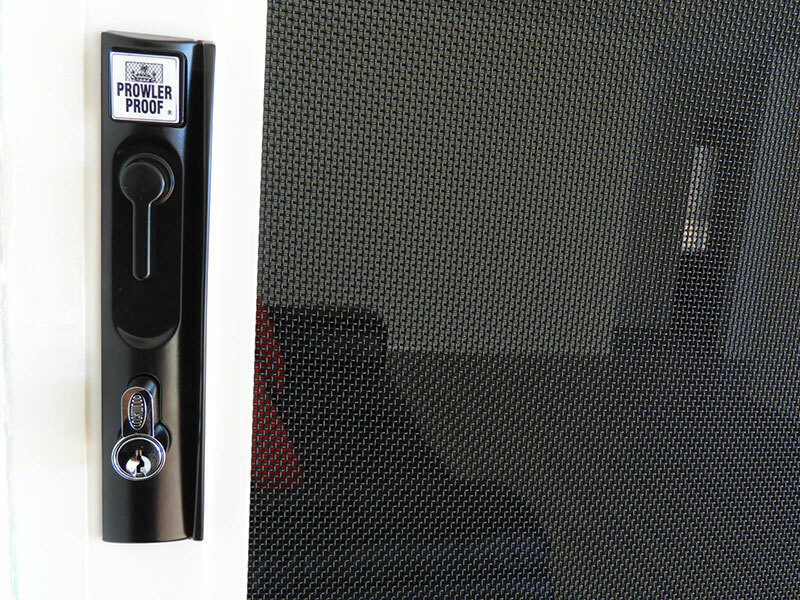 If you are serious about security then ForceField Security Screen Doors are the obvious choice. 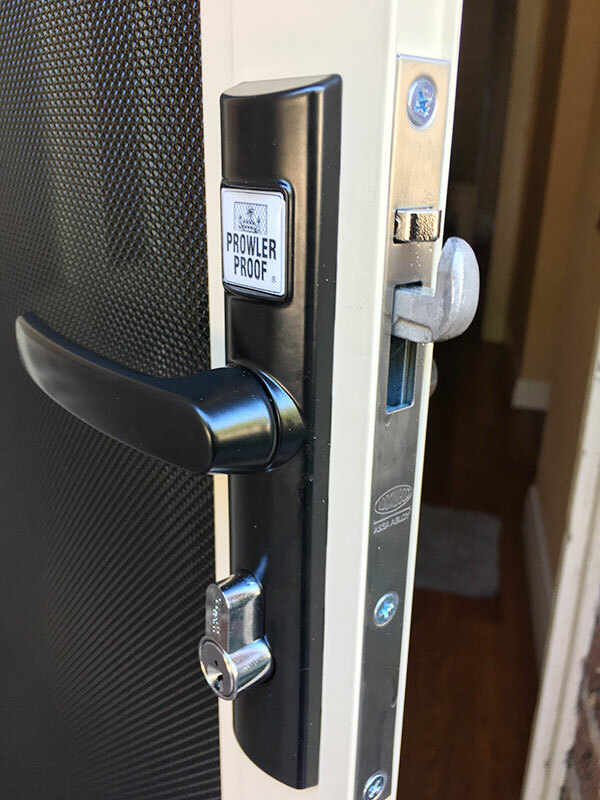 ForceField Security Screen Doors are “Pure Class” see the quality for yourself, contact Lock-M-Out Locksmiths to book your in home consult. 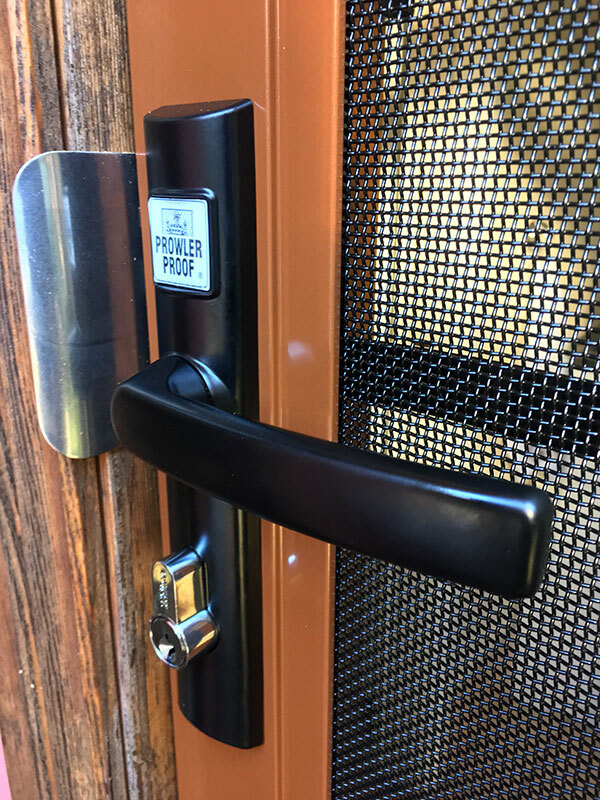 Prowler Proof ForcField is available as Hinge Doors, Sliding Doors, and Window Screens, custom made to suit your home or business and with 300 colours to choose from Lock-M-Out Locksmiths will tailor a solution for your Security Screen needs. 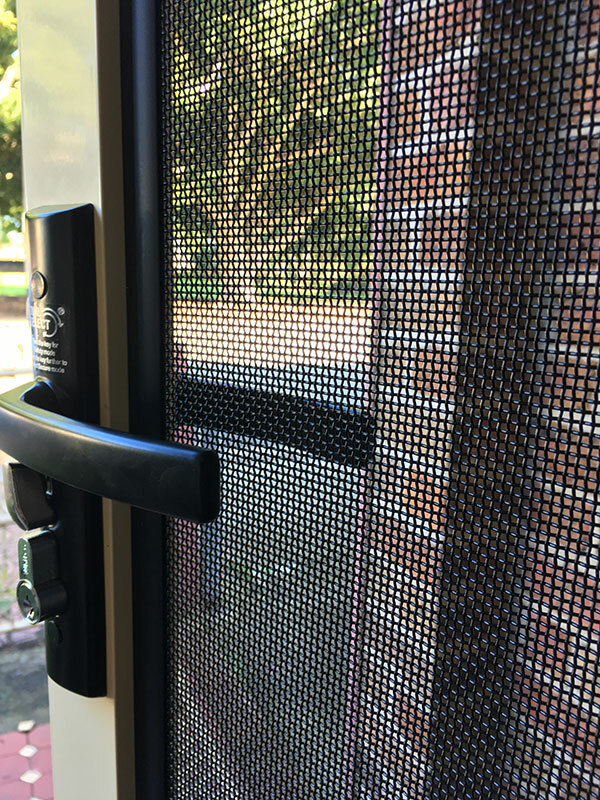 ForceField Security Screens have passed every imaginable test of strength. Checkout the test videos below, after these results you can rest assure you are safe behind a ForceField Security Screen. 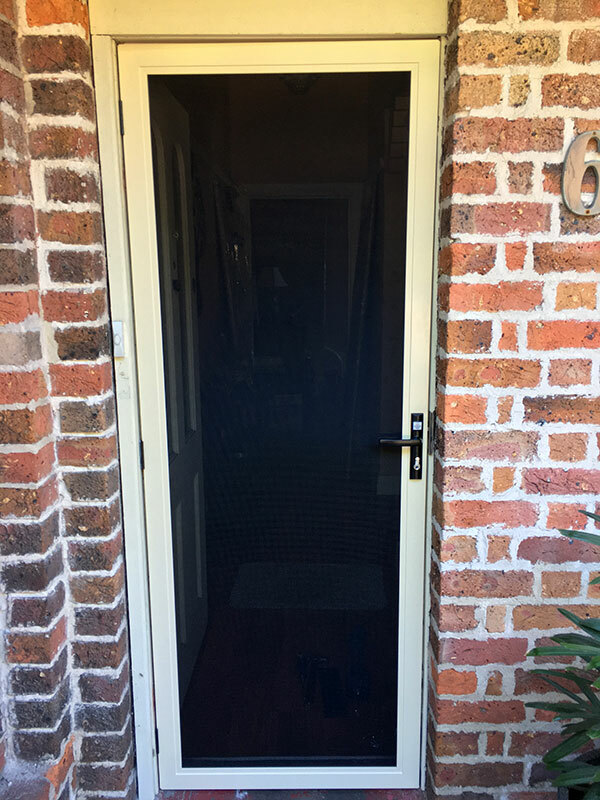 With its welded corners and sleek looking flat profile aluminium frame, ForceField is Australia’s strongest and best looking Hinged Security Door. 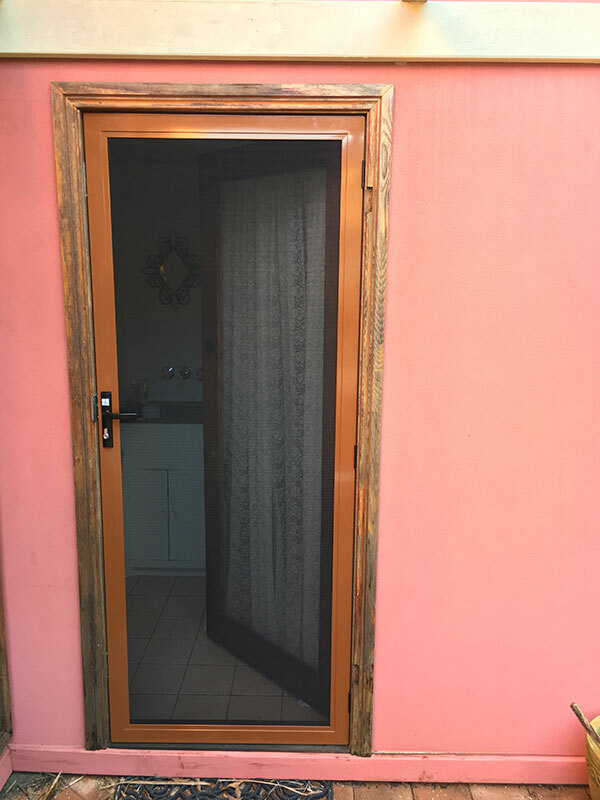 Single Door? French Door? With or without mid rail? Pet Door? 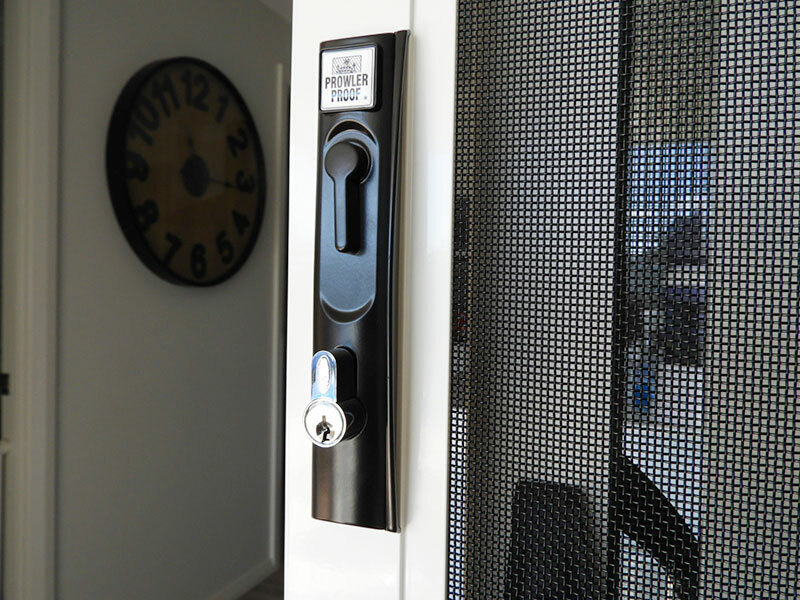 Lock-M-Out Locksmiths will help you create your custom made ForceField Hinge Door. Lockwood 8654 is one of the strongest residential hinge door security locks on the marketing. 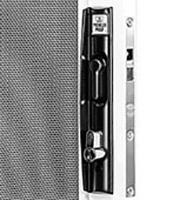 It's a 3-point locking system with Kinetic Defence Keying Technology and a (25) year mechanical warranty. 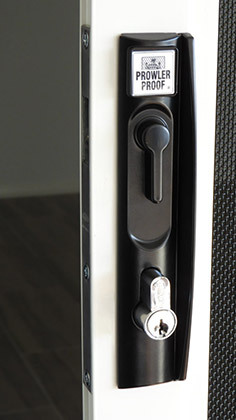 †AS 5030 requires security doors to have a 3-point locking system with a 5 pin cylinder lock. If security is not a priority, ForceField is available with a 1-point lock that does not meet the Australian Standard AS5039† for securitty. The flat aluminium profile of Prowler Proof’s ForceField Doors are a real feature on the Sliding Doors. 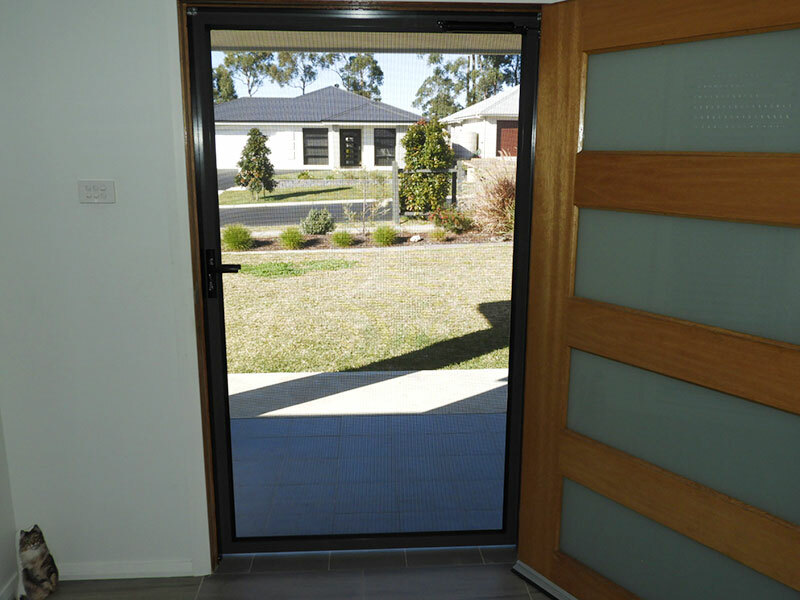 The sleek flat profile of the Screen Door matches the flat profile of the existing glass door. ForceField Sliding Doors come in single sliders, double sliders and stacked sliding doors. 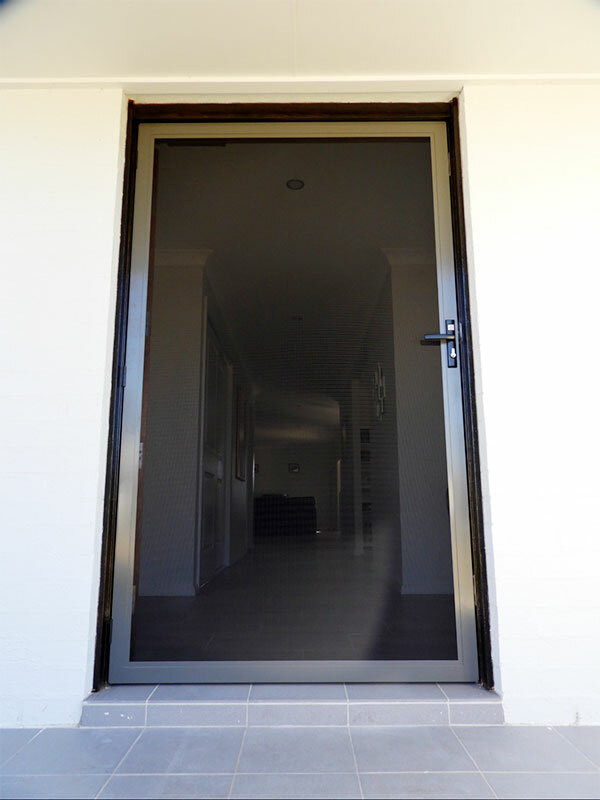 Lock-M-Out Locksmiths will help you create your custom made ForceField Sliding Door. 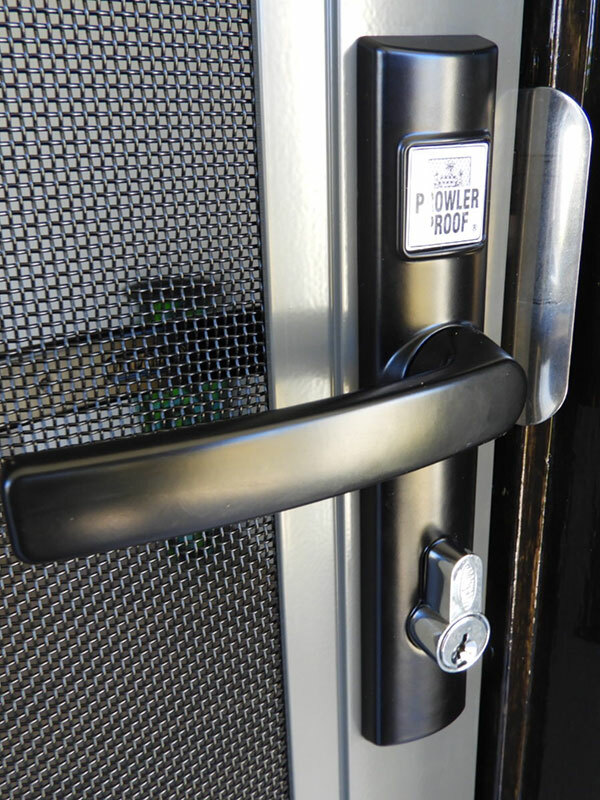 Lockwood 8653 is one of the strongest residential sliding door security locks on the market. It's a 3-point locking system with Kinetic Defence Keying Technology and a 25-year mechanical warranty. 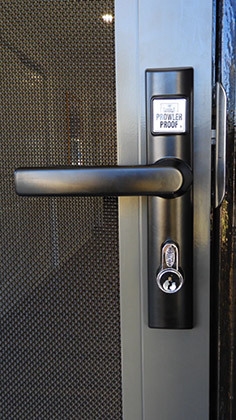 †AS 5039 requires security doors to have a 3-point locking system with a 5 pin cylinder lock. If security is not a priority, Protec is available with a 1-point lock that does not meet the Australian Standard AS 5039† for security. Sliding, Double Sliding, Single or Double Hung, Louver, Awning or Casement Windows, there’s a ForceField Window Screen to fit almost any window style. Lock-M-Out Locksmiths can advise the best option on how to protect your home or business windows. 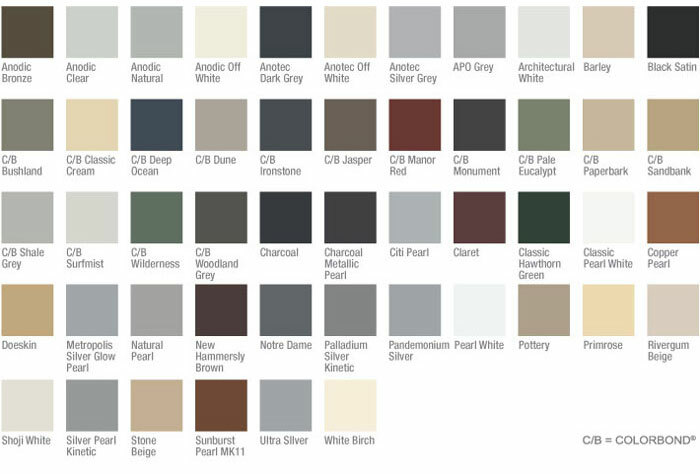 All ForceField products come in 50 standard colours.